I have started an organization called “Foster’s Farm”. After his passing, I realized the amazing gifts he shared with me throughout his life…but many of those were in his later years! 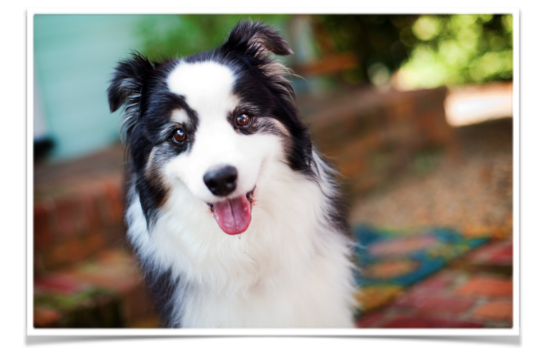 Because of that… I feel compelled to advocate for senior dogs in need. Foster made people smile even in his “elder years” yet adoption rates for seniors are low and medical costs often high. As a result, so many senior dogs are left behind at shelters to live out their final days in confusion and discomfort. It is my goal to save and advocate for ONE senior furbaby at a time and support anyone who is willing to do the same. You’re giving your foster dog the time he needs to be ready for adoption. You’re helping the shelter or rescue learn more about the dog so he can end up in the best home possible. You’re socializing the dog to a home environment and possibly getting him used to being around other pets and different types of people. Senior dogs are at the top of the euthanasia list when they are taken into most shelters. A senior dog who is fostered rather than kept at a shelter will maintain or more quickly regain good emotional and physical health, and therefore be vastly more appealing as a candidate for adoption. A senior dog who lives in a home environment rather than a shelter while he is waiting for permanent placement will inevitably make a better transition to his new home and family, and therefore decrease the chances that he will be displaced again. If you want to foster, you should consider yourself to be a compassionate, patient, and committed person. You also need to be flexible and to have a practical attitude and a good sense of humor. These qualities will enable you to help a senior dog recover from the trauma of being displaced and make a good adjustment to a new home. If you have a yard, it should be fenced. If you rent your home, you should have your landlord’s permission to have a dog living with you, even on a temporary basis. The rescue organization usually requires a home check before giving you a dog to foster. You shouldn’t foster if you plan to be away on a trip soon after you take in a senior dog. Ideally, you should plan at least an hour per day specifically for care and exercising of the dog. You should also plan to spend significant time with the dog each day, just being in each other’s company. You need not have fostered in the past. However, some experience with dogs is good to have. If you have experience with a particular breed of dog, it would make sense to foster that breed; the breed’s rescue group will be delighted to know about you. Depending on the rescue organization with which you work, you may be asked to do some simple re-training with the dog, and, to this end, may be asked to enroll in a dog training class. If you are a first-time foster, the shelter or rescue organization with which you work will help in deciding which dog would be best for your situation and what information on dog behavior and training will be useful to you. It is always helpful if you can cover the cost of food and incidentals for the senior dog you foster. In general, the rescue organization pays for medical expenses. Although not absolutely necessary, it is always helpful if you can provide transportation to adoption fairs or other venues where the dog can meet potential adopters. A leash and collar is often provided by the rescue organization; however, you may wish to have another set or two on hand. A crate is a convenient piece of equipment, also, although not absolutely necessary. Food and water bowls are necessary, and, to be sure the dog stays well hydrated, you may want to have a water bowl in more than one location. If you already have a dog bed, that’s great. If not, old blankets and towels can make up into a comfortable place for the dog to sleep. When fostering for Foster’s Farm all food, supplies, and medical are provided by Foster’s Farm Senior Dog Rescue. We ask that you commit to fostering until the dog finds his or her forever home or until he or she passes. Fosters are asked to take their fosters to vet appointments. Fill out a foster application/agreement at an event or fill out a Foster Application through our site. Someone will speak with you at an event or contact you to discuss your application. Interact with the foster and all family members to make sure it’s a good match. Our foster coordinator will check in with you weekly to get info regarding needs, medical, and behavioral progress of your foster. If you have any additional questions, please feel free to → Contact Us!